I need to withdraw and give up my full scholarships to Brookyln and Cardozo... not that hard though. I am also feeling a bit defensive this morning about my likely future school being depicted as a caboose. Last edited by 02122015 on Wed Aug 11, 2010 8:42 pm, edited 1 time in total. All the cool kids sit in the caboose of the… this metaphor isn't working. Last edited by 02122015 on Wed Aug 11, 2010 8:41 pm, edited 1 time in total. And I'll add mine...I think you are very sane and thoughtful to be attending Georgetown. It is one of the most esteemed law schools in the land and your degree will travel with you! That was a huge factor for me...I want freedom to practice where I want. Regional degrees make it more difficult to move. And freedom is priceless!!! I am totally sending this in too! Last edited by starrydecisus on Thu Apr 01, 2010 12:08 pm, edited 2 times in total. I need my Georgetown friends! I just withdrew, and it hurts, it hurts! But I want to be a Hoya!!!! 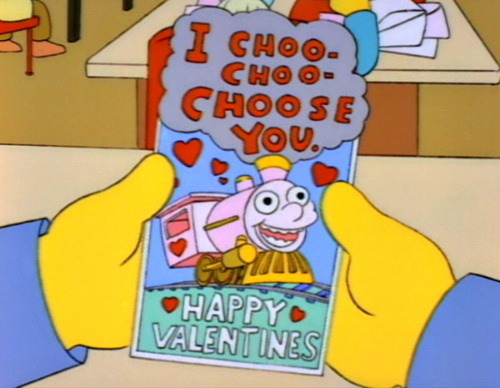 I choo-choo-chose Georgetown! Just remember how awesome DC is, and that the campus is like two blocks from the Supreme Court and the Capitol building. The schools you withdrew from can't say that. I have to withdraw, and I am afraid. It will be a little tough to withdraw from BC/BU; I've always kinda wanted to go to one of those. Georgetown beat my other scholarship offer, I'm just like scared for an unknown reason. Um, can't wait til this day is over, these names are driving me crazy. BTW, we have the worst name. I don't even think it's clever. But f.o.r.d.h.a.m is "paradise" so I guess at least ours is accurate. Kim617 wrote: Um, can't wait til this day is over, these names are driving me crazy. At least you all have grants/scholarship at Georgetown! Although I did have considerable scholarships from undergrad, so I was able to save some of that to put towards tuition, so that's helpful! Do we only need to submit our W-2 if we get a Dean's Tuition Grant? That's what it says on the deadlines page, but I got the impression from the yellow form that everyone needs to send them. Revisionist wrote: Do we only need to submit our W-2 if we get a Dean's Tuition Grant? That's what it says on the deadlines page, but I got the impression from the yellow form that everyone needs to send them. I sent mine before I got the grant. I would send it in anyway. Hello All! I just found this site. I was so excited to start school at Georgetown this year... until I received my financial aid notification. Anyone have any idea why I did not qualify for need-based grants? I made less than $20,000 last year. I'm pretty baffled! I know they look at your parents' income, but my parents haven't supported me for years, and I didn't think they made that much money anyway! tbt10 wrote: Hello All! I just found this site. I was so excited to start school at Georgetown this year... until I received my financial aid notification. Anyone have any idea why I did not qualify for need-based grants? I made less than $20,000 last year. I'm pretty baffled! I know they look at your parents' income, but my parents haven't supported me for years, and I didn't think they made that much money anyway! From what I understand need based grants are pretty rare. I wouldn't be too upset. Only schools that often give them out are YLS, HLS, and NYU. Almost every worthwhile school gives out "need-based grants"
Many of them are actually also related to merit though, or are a combination of need and merit. I suspect Georgetown is similar. Last edited by Interminable_Waiting on Thu Apr 01, 2010 4:47 pm, edited 1 time in total. Interminable_Waiting wrote: Almost every worthwhile school gives out "need-based grants"
Many of them are actually also related to merit though, or are combination of need and merit. I suspect Georgetown is similar. Need-based grants are somewhat rare at the schools that give them out - only those I mentioned before give them out a lot. I found a really nice chart about it specific to Georgetown yesterday, looking for it now.. Meaning, a lot of applicants are poor, but not a lot get grants. It isn't anything bad on you if you don't get one. Ya. I wasn't disagreeing with you. Plenty of poor people apply to law school and don't get need-based grants. Plenty of middle-class and wealthy ones apply and do. So need-based does not always mean the poorest x% of a class. Last edited by Interminable_Waiting on Thu Apr 01, 2010 5:22 pm, edited 1 time in total. Plenty of poor people apply ot lawl skool and don't get need-based grants. Plenty of middle-class and wealthy ones apply and do. So need-based does not always mean the poorest x% of a class.